Welcome to my website! 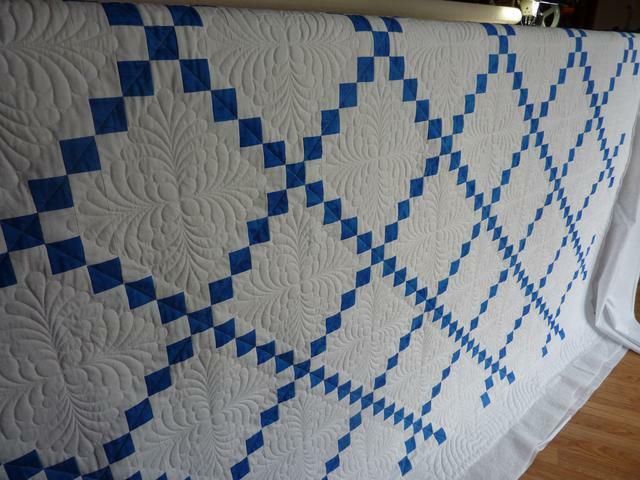 I love completing your beautiful quilts on my Gammill longarm machine. 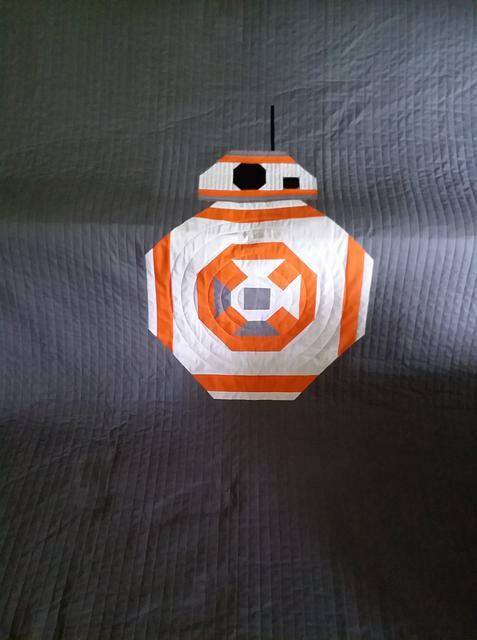 I have the computerized Statler Stitcher which stitches accurate and intricate designs and I can quickly return your quilts to you with overall patterns or custom freehand quilting, often within three weeks or less. Call or e-mail me if you have questions. Note: Grand Rapids pickup and delivery usually available Monday through Tuesday. Why buy batting from your longarmer? See Batting & Backings page. GO GREEN! 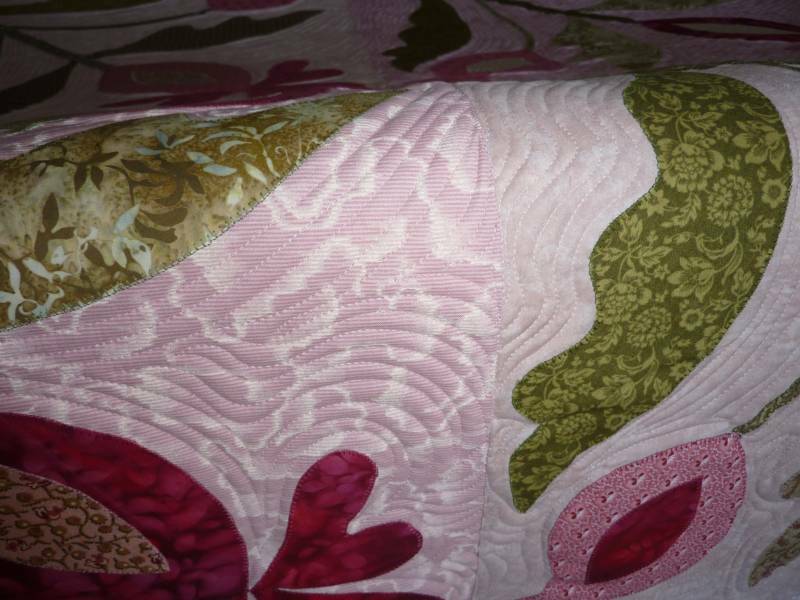 This block is part of an awesome client quilt. 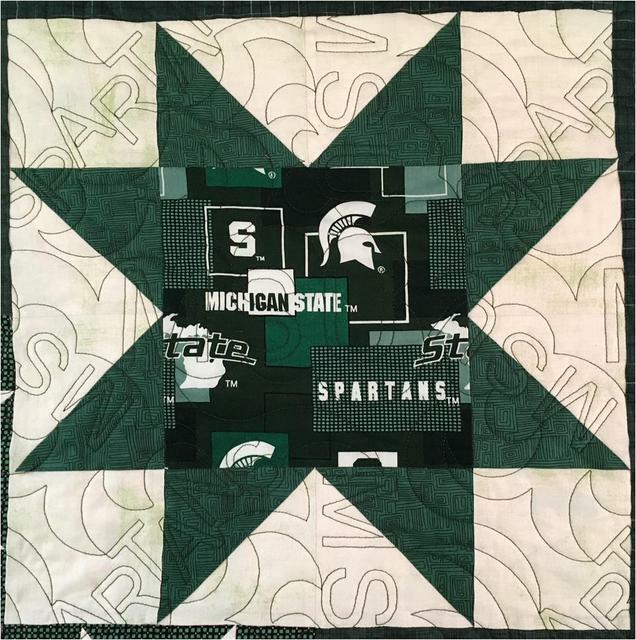 The quilting design was customized to say MSU and Spartans. I'm sure I'll be using this one a lot.